Rotarian Action Groups provide assistance and support to Rotary clubs and districts in planning and implementing community development and humanitarian service projects. They are organized by committed Rotarians, Rotarians’ family members, and Rotaractors who have expertise and a passion for a particular type of service. 1. Each group functions independently of Rotary International, with its own rules, dues requirements, and administrative structure. 2. Membership is open to Rotarians, Rotarian family members, and Rotaractors. 3. Rotarian Action Groups must adopt RI’s standard bylaws for Rotarian Action Groups and operate in accordance with Rotary policy. 4. Rotarian Action Groups regularly collaborate with clubs and districts on service projects in their area of specialty. 5. Rotarian Action Groups can assist clubs and districts in obtaining funding or other assistance for their service projects from prospective donors and partners. 1. They provide opportunities for Rotarians to engage in meaningful service in partnership with like-minded Rotarians outside of their own club, district, or country. 2. Partnering clubs and districts can benefit from the expertise and collaboration of Rotarians from all over the world who share their commitment to a particular area of service. 3. Rotarian Action Group projects have the potential to significantly enhance Rotary’s public image. 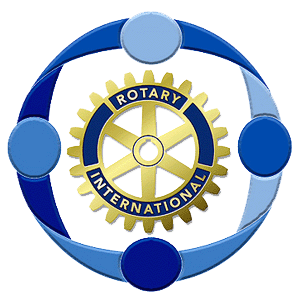 Interested in a particular Rotarian Action Group? Visit the group’s website to learn more. If your service interest isn’t represented by an existing group and you’re interested in taking the initiative to organize a new prospective group, contact RI staff to learn how you can promote your idea. The criteria for receiving official RI recognition are rigorous because Rotarian Action Groups are expected to support effective, sustainable, and responsible service projects. Prospective groups must secure the commitment of at least 25 prospective members representing at least five countries and three Rotary zones. RI staff will be able to advise you on preparing an application for consideration by the RI Board of Directors. Applications are eligible for review at three Board meetings throughout the Rotary year. Click Here to Learn How to Join a Rotarian Action Group.